Are you planning on going on a trip to Malta anytime soon? Are you currently wondering as to which hotel would be the best choice for you to stay in? Then, worry no more because in this post we’re going to take a close look at some of the best 5 star hotels in Malta and Gozo that you can choose from. 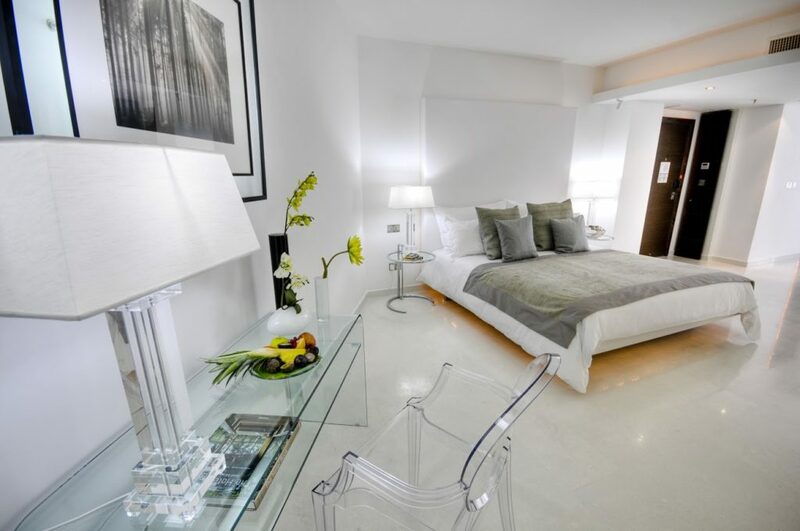 This contemporary hotel is located at Sliema, Malta and can be found at the very heart of an upmarket residential area that’s just a few minutes away from the Sliema Waterfront. The hotel’s staff are genuinely friendly, helpful, and will give you the attention you need during your stay. The Palace has an infinity pool on its rooftop as well as a nice terrace that offers magnificent views. In addition to that, it also has a steam room, sauna, and an indoor pool, which all open onto another terrace. The hotel’s Marion Mizzi spa offers a wide range of different massages, facials, Ayurveda treatments, manicures/pedicures, and a children’s range. All of these services are done by qualified international therapists who constantly update their skills and knowledge at the company’s in-house training school. Majority of the rooms in The Palace are designed to look outward and are made with their own balconies that offer an overlooking view of the streets. Upper level rooms on the other hand offer you amazing harbor views. Room rates at this hotel start at £176 per night. 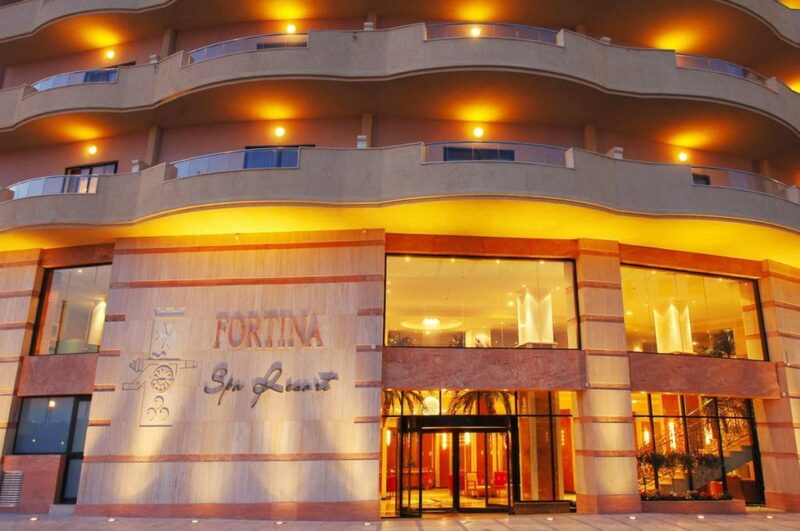 This 5 start hotel is also located in Sliema, Malta. 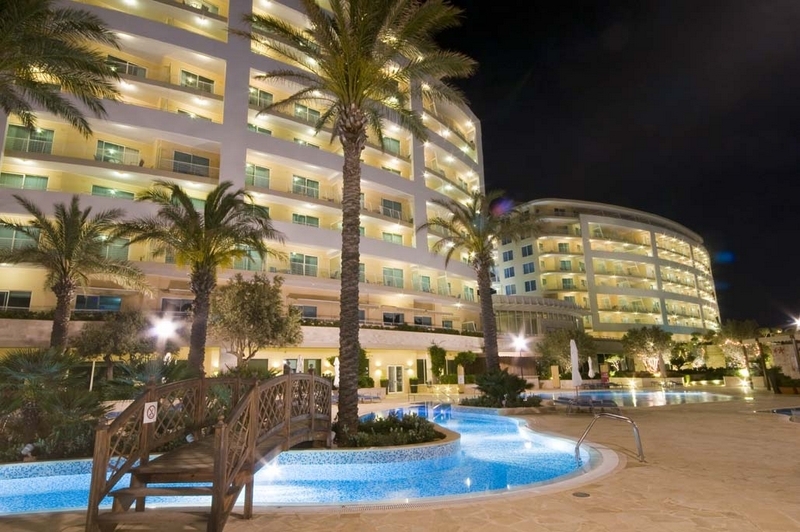 It’s a large and modern hotel that has lots of pools; one of the biggest spas in all of Malta; and a variety of restaurants that serve different kinds of cuisines. In the hotel’s spa you’ll find an indoor pool; whirlpool tubs; a sauna and steam room; a thalassotherapy pool; reflexology basins; and a Cleopatra’s bath where you can bathe in milk and honey. Fortina Spa Resort’s spa bedrooms were the very first ones in Europe and each one has a large mosaic whirlpool bath behind their beds. On top of that, the rooms also have an expanded bathroom that comes with a therapeutic jet bath that has 9 programs; aromatherapy oils along with a white pod; a shower that also functions as a steam room; and a Dermalife vibrating massage bed that has infrared lights. Some of the rooms in this hotel also come with their own rooftop terrace with a plunge pool. Room rates at this hotel start at £60 per night. This one is located at Gozo. It was made with local stone and is a long and low-rise hotel, which sits on the Gozitan landscape. Its walls are made of limestone and the floors are made of terracotta, which are set off with different dark wood furniture pieces; modern impressionist style prints that come in different colors; and limestone sculptures. 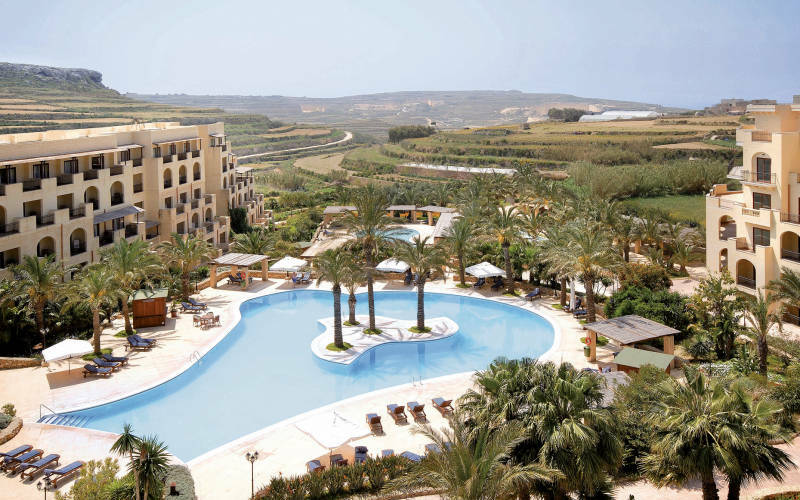 Kempinski is the hotel that offers the greatest number of facilities in Gozo. This hotel is popular for its spa, which has a warm rich scent that you can smell even before you reach it. There are lots of treatment rooms and all of them are very spacious. The spa also plays calming music that will help you relax while the therapists take care of you. Apart from its spa, this hotel also has a large indoor pool and a therapy pool; a steam room; a hammam; and a whirlpool tub. Room rates at this hotel start at £128 per night. This hotel offers panoramic views that go across the water to Sliema and the Manoel Island because it’s located near the bastion walls of Valletta, which can be found between the sea and the capital city. This hotel comes with its own marina for guests in the Marsamxett Harbour. It also takes pride as having the very best facilities of any hotel in Valletta. 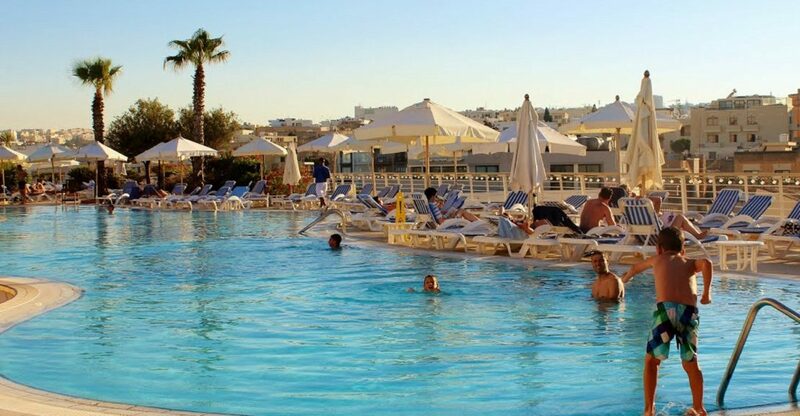 Its facilities include a gym, spa, and fairly large indoor and outdoor swimming pools. Its public areas are very spacious and are well-decorated with different art pieces that range from elegant Chinese furniture to a variety of Roman sculptures as well as nice flower paintings and prints of old Batavia. On top of that, they also have some psychedelic patterned carpets. It has large and airy modern rooms that have a traditional style. It also has larger rooms with that offer a sea view and have French windows that go to individual terraces where you can enjoy an overlooking 200-degree view of the harbor. Room rates at this hotel start at £99 per night. 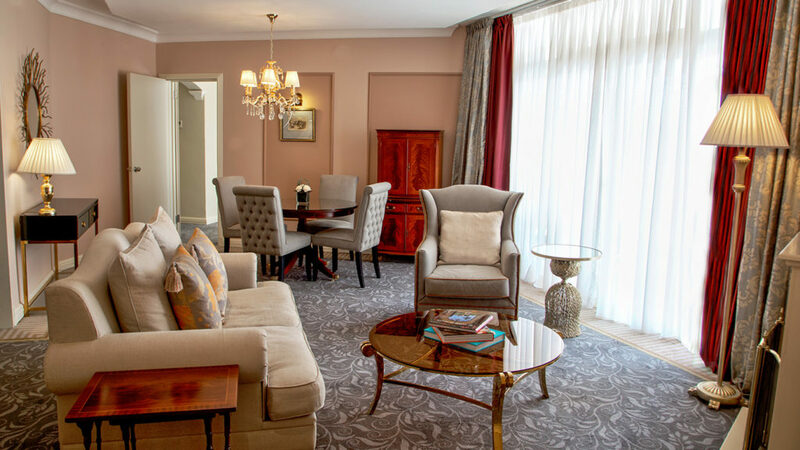 This hotel is located in a classy, traditional, and quiet residential area in Malta, which can be found just across the road from the President’s San Anton Palace. It has beautiful public gardens with lots of flowers, fountains, a hedge maze, an aviary, and free range peacocks. One of its gardens has a big pool deck that wraps around a split-level swimming pool that resembles the shape of Neolithic Hagar Qim temple. When you feel a bit chilly because of the cold weather (in Malta, the weather is mostly warm but can get chilly sometimes ;), you can spend some time at the Athenaeum spa where you can have a dip in the bath-warm indoor pool. You can also spend some time in the little garden’s sauna. Room rates at this hotel start at £160 per night. This hotel is located in Mellieha, Malta. 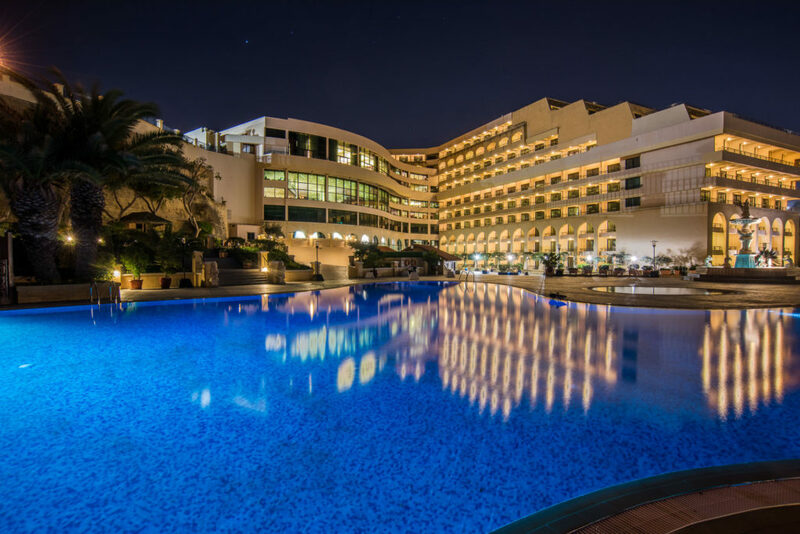 The Radisson Blu is a large modern hotel that dominates over the Golden Bay with a wide stretch of sand that’s without a doubt one of the best beaches you’ll ever find in Malta. All of its hotel rooms have their own balconies and some of them offer panoramic sea views that will surely leave you breathless. It also has outdoor pools that have an overlooking view of the bay. This hotel has a total of 4 swimming pools both indoor and outdoor. The outdoor pools are situated over a limestone terrace that’s dotted with palms and offers an overlooking view of the sea. The Radisson Blu has its own small stretch of private beach. Its Myoka spa also offers great sea views through its glass walls. The spa offers both dry and wet therapies from professional therapists that come from Europe, China, and India. Room rates at this hotel start at £194 per night.